Catshill Wildcats U11s celebrate winning the Mercian Beacon Shield. 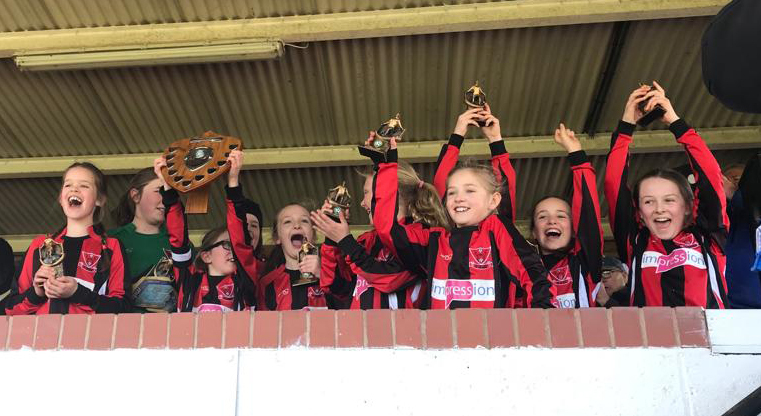 CATSHILL Football Club celebrated more cup success for it’s junior section recently, as Catshill Wildcats under-11’s won the Mercian Beacon Shield with a 3-0 win over Stourport Swifts. The girls side were cheered on by more than 50 fans at Malvern Town’s HDAnywhere Community Stadium on Sunday, and they certainly did not disappoint, taking a lead through Ashleigh Kennedy’s screamer. Catshill were forced to dig in in the face of sustained Stourport pressure, but proved a handful on the counter-attack and doubled the lead on the break through Faye Beaumont in the second-half. Freya Stanton-Speck picked out Erin Wright with a pass in the final ten minutes of the games, and she made sure the silverware was being lifted by her side by slipping the ball into the bottom-corner. It marks more success for the club in its first season of existence, a beneficiary of the FA’s SSE Wildcats Programme, having recently lifted the Mercian Development Shield two weeks prior. 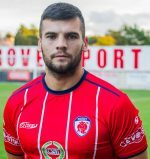 The club have plans to move to nine-a-side games next season, whilst coaches Mark Field and Phil Speck are keen on attracting new players to the team – regardless of current ability. The Catshill Wildcats U11s team included: Rosie Parslow (GK), Emma Field, Freya Stanton-Speck, Sophie Pell, Ellena Conaty, Olivia Wright, Erin Wright, Faye Beaumont (Capt), Maisie Yarrington and Ashleigh Kennedy. Catshill would like to thank Bromsgrove PR agency Impression Communications for their ongoing support and sponsorship.